The knife industry loves acronyms and one frequently seen is the term FRN. It means “fiberglass reinforced nylon” which is a plastic material used in manufacturing knife handles because it’s lightweight, longwearing and not prohibitively expensive. One of the byrd line’s cornerstone models, the Meadowlark is available with FRN handles. The FRN Meadowlark has slip-free texture, deeply molded into the plastic so it won’t slide or move around in the hand. Nested inside the handle are full-length steel liners adding rigidity and strength without unnecessary weight and phosphor bronze bushing for smooth open/close. 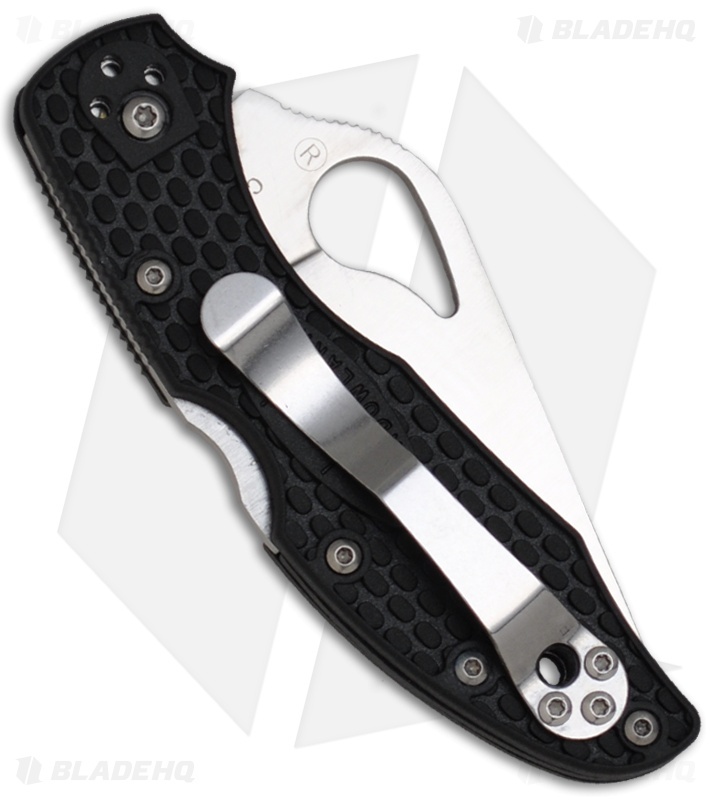 The 8Cr13MoV stainless steel blade is flat ground with a comet shaped hole so the folder opens and closes one-handedly. On top of the blade’s spine is a series of crosshatching the knife industry calls jimping. Jimping creates tactile resistance, gripping the thumb and keeping it in contact with the top of the blade while cutting. Features a 4-way pocket clip for left or right-handed, tip-up or tip-down carry. Cut out of the lock’s release is a safety feature called a David Boye Dent allowing you to tightly grip the handle without fear of accidentally releasing the lock. Good inexpensive light weight EDC. 8CR13MOV does need to be sharpened regularly but that is fine for me and my needs. I have mine with the ziptie mod. My buddies think it is really cool. 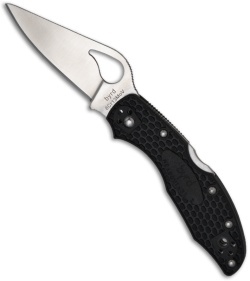 Nice knife, bought to "test out" spyderco and see if I would like to upgrade to delica. Having owned a wide variety of blades for edc use I've owned a sog twitch which I loved also a flash 2, crkt guppy, buck 290 rush, case trappers buck stockman's the meadowlark 2 is my new go to hoping the delica exceeds my expectations it on the way and I will review it wish it was offered in g10 like the meadowlark but that's no big deal the Byrd's blades is easy to sharpen but chips easily when I cut coax cable I don't baby my knifes I cut and pry stuff I shouldnt try with pocket knifes all in all its a great knife for 20 bucks. I have a lot of knives, but this is one of my favorites. I'm not worried about breaking it because it's so low priced. But it works just like my other knives. I love this knife! I have over 20 edc knives that all are around the 3 inch mark and this one is my favorite to carry that I can use for anything. Its not so expensive that I am worried about breaking it and as I have put it through the paces I have found it to be great. I modded the spidey hole with a dremel to make a wave feature and it works great. The only thing that I dislike about it is that if you are cutting hard wood the blade will rock a little bit as apposed to a liner lock which has no rock. The clip and blade are perfect and I have even fileted fish with it. So, if you're in the market for a light weight EDC knife, would I recommend the "Meadowlark"? Maybe...The ergonomics of the "Meadowlark" are class leading, better than the Spyderco "Delica". The optional use front finger choil is perfect for, dare I say it, delicate work. But when compared directly to the H &K "Mini Pika", the workmanship is just not on par. That being said, those excellent ergonomics keep the "Meadowlark" in my rotation of EDC knives.